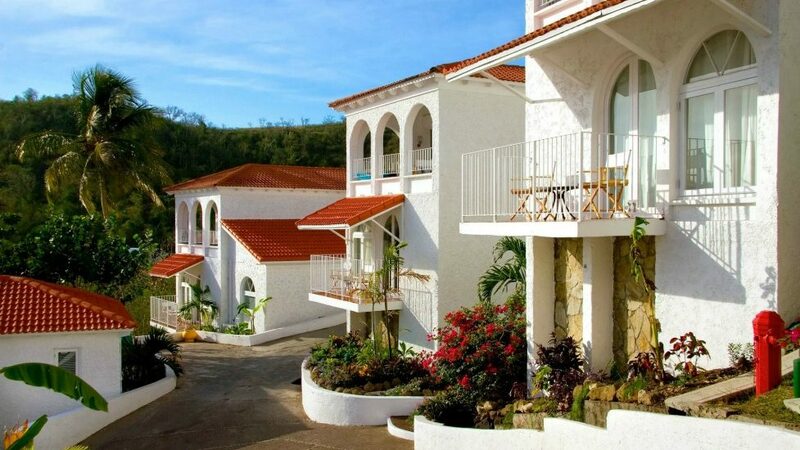 Mount Cinnamon Resort, Grenada - Caribbean & Co.
Mount Cinnamon Resort is a fun boutique hotel by Peter de Savary, set on Grande Anse Beach which has 2 miles of powder white sand on Grenada’s Caribbean shores. Mount Cinnamon Resort offers just twenty-two, sea-facing one bedroom Hacienda Suites, plus one, two and three bedroom villas, ideal for the perfect Caribbean holiday. Set in exotic tropical flowering gardens lie the popular restaurant, Savvy’s with outstanding coastal views, the pool-side cocktail bar, the beach club, and spa, all of which provide exceptional and friendly service on this magical West Indian Island. Each individual accommodation is luxuriously spacious with exceptional sea views. The suites and villas all have airy sitting rooms with kitchen and breakfast bars, stunning outdoor living spaces surrounded by colorful, tropical gardens and with breath-taking views of the Caribbean Sea. The master bedrooms all have large balconies, separate dressing areas and uniquely styled, adobe-walled shower rooms. The interior of the rooms are designed with many thoughtful extras — all are fully air-conditioned and have hairdryers, BOSE sound systems, cable TV, crisp linens and impressive artwork. The Mount Cinnamon Spa offers an extensive program of relaxation and beauty treatments as well as yoga in the specialist yoga center and a state of the art gymnasium. Watersports, diving, sailing, bill-fishing, spa treatments, tennis, boat excursions, guided island hiking tours, river tubing, hot sulfur springs, plantation tours, children’s programmes and more.